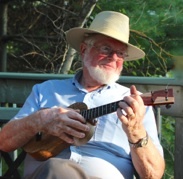 Chalmers began his musical journey in Truro, where he won the prize for Outstanding Performance of the Music Festival, in 1946. His interest in teaching eventually led him to the NS Normal College where he came under the influence of the dynamic music educator, Catherine Allison. Further study ensued at Boston University, where he majored in trombone, under Koko Kahila, and minored in string methods, working closely with Dr. George Bornoff. As director of music education for the city of Halifax, he created a comprehensive music program designed to produce students who were musically literate by the end of grade six. In addition, opportunities were created for every child to have an instrumental and choral experience in every school. The music department boasted dozens of choirs, wind and string groups, a class piano program, and the senior ensembles included a jazz band, symphony orchestra, pops orchestra, concert band, percussion ensemble and honour choir. In addition, there was a thriving adult education program with as many as a thousand students attending weekly classes. 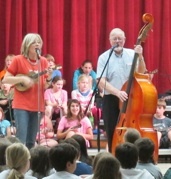 The use of the ukulele as an educational tool was one of the innovative aspects of the program that captured public attention, and which became the basis of a country-wide program. The last ten years of Chalmers' career were spent as professor of music education at the NS Teachers College. 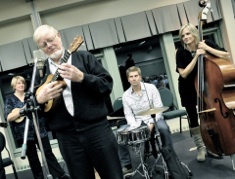 In recent years, his influence on music education in Canada has been recognized by The Learning Partnership, an honorary doctorate from Saint Mary's University and membership in the Order of Canada and the Order of Nova Scotia. 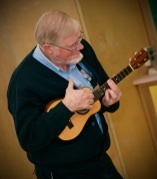 Now retired, he is still pursuing his lifelong joy: making music with his friends.